Stadiums around the world continue to expand, keeping up with the high demand for sporting events and concerts. Of the 50 largest stadiums in the world by capacity, a staggering 25 of them are in the United States, according to World Atlas. 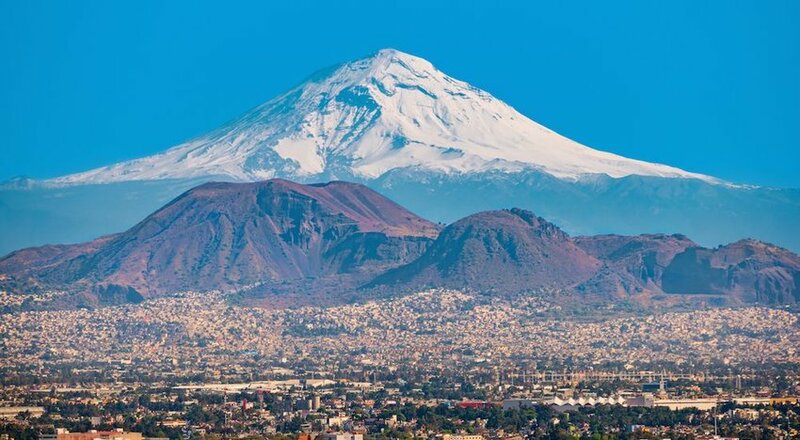 While a majority of the top 10 are American football stadiums, the rest of the list is a mix of rugby, cricket, martial arts and soccer stadiums from around the world. The following stadiums all have the ability to hold 100,000 people. 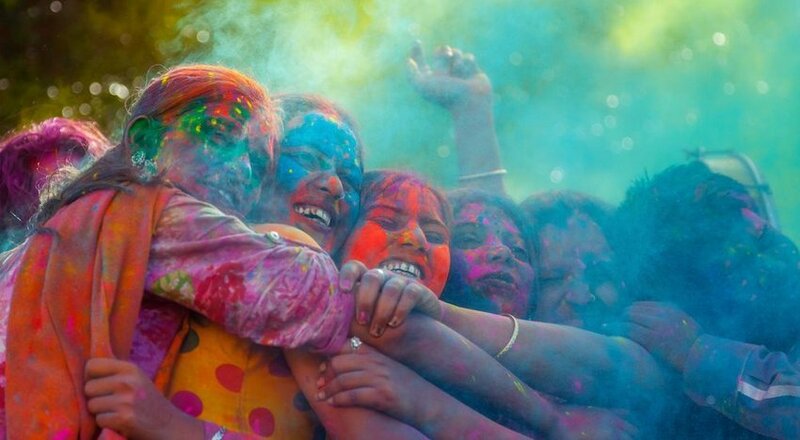 These are the 10 largest stadiums in the world. 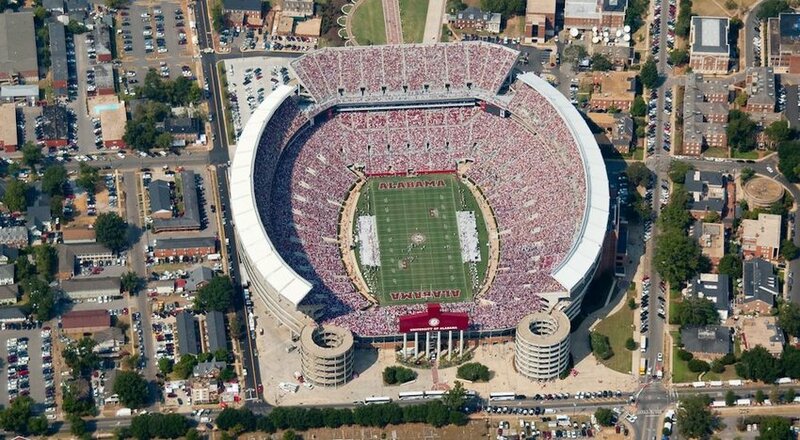 Bryant-Denny Stadium, Tuscaloosa, Alabama, U.S. The University of Alabama’s Bryant-Denny Stadium in Tuscaloosa is home to the Alabama Crimson Tide football team. First opened in 1929, this massive stadium now has a capacity of 101,821, according to Visit Tuscaloosa. While that might sound like an unattainable amount of seats to fill, the stadium regularly sells out for big games. A stroll through this beautiful campus is a must if you’re in western Alabama — you can even take guided a tour. Tiger Stadium, Baton Rouge, Louisiana, U.S.
Tiger Stadium at Louisiana State University is seventh on the list. With a capacity of 102,321, this football stadium was originally completed in 1924 but has had multiple improvements to get to its enormous size, according to LSU Athletics. 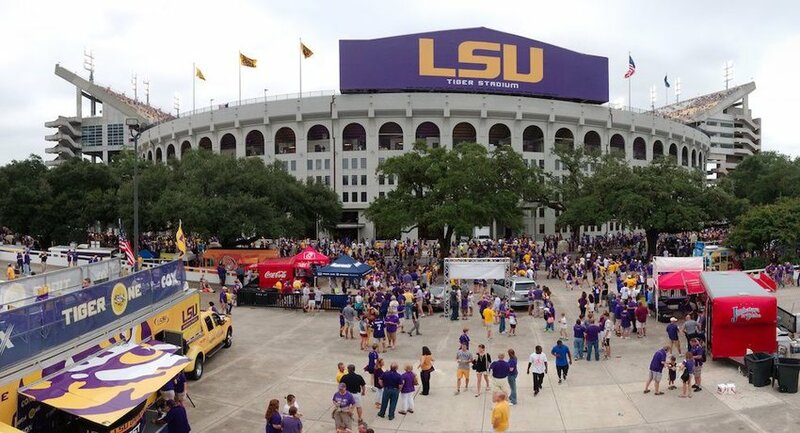 Also known as “Death Valley,” Tiger Stadium’s last expansion in 2014 increased its capacity to make it the sixth-largest stadium in the United States. 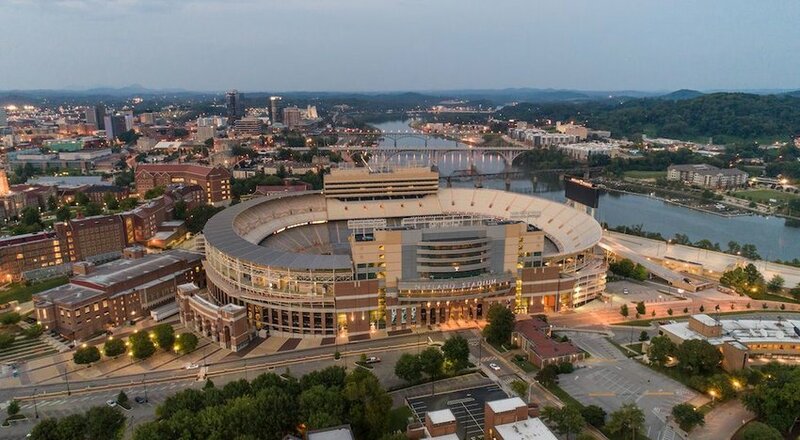 Neyland Stadium, Knoxville, Tennessee, U.S. Since 1921, Neyland Stadium, with a capacity of 102,455, has been the home of the University of Tennessee Volunteers football team. Named after U.S. Army General Robert R. Neyland, a former football coach for the Volunteers, this stadium’s rich history in American football in the South has drawn more than 25 million fans through its doors since its beginning, according to Tennessee Athletics. Kyle Field, College Station, Texas, U.S.
Football is a staple in Texas, so it’s no wonder that Texas A&M University in College Station is home to the fifth-largest stadium in the world. Here, up to 102,733 fans can catch an Aggies football game — a lot more than the original capacity in 1929 of just 32,000, according to College Gridirons. Visitors can even go on a tour with field access, views from the top and a brief history from a guide. 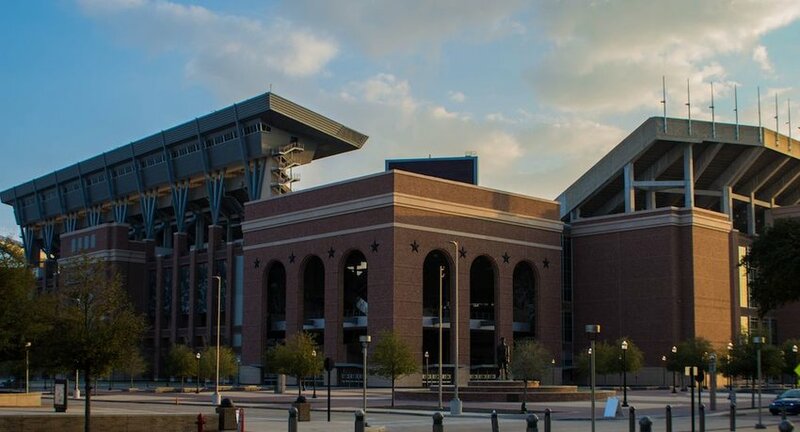 The “Home of the 12th Man” underwent a massive $450 million renovation that was completed in 2015, bringing it to its current size, according to Texas A&M. Ohio Stadium, Columbus, Ohio, U.S. 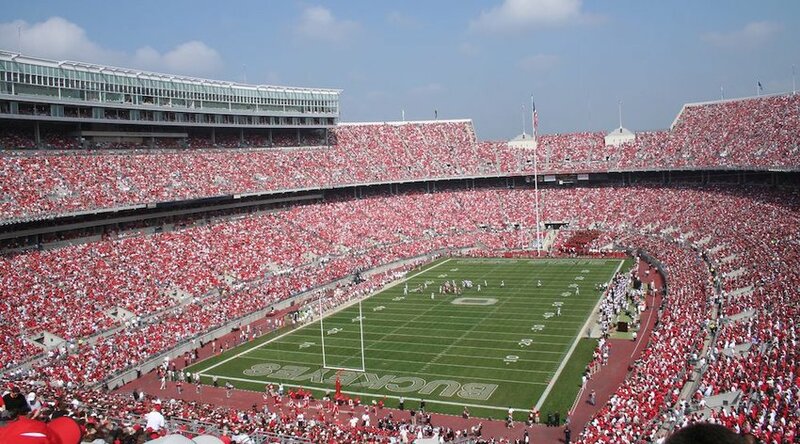 The Ohio State Buckeyes’ home stadium has had quite an upgrade from its original capacity of 66,210 back in 1922. Today, thanks to a 2014 expansion, this stadium can hold 104,944 football fans, according to World Atlas. The largest crowd that this stadium has seen was 110,045 in 2016 when the Buckeyes played Michigan, according to Ohio State University. Check out Ohio State Stadium Tours to walk the sidelines, visit the press box and more at this famous venue. Beaver Stadium, State College, Pennsylvania, U.S. 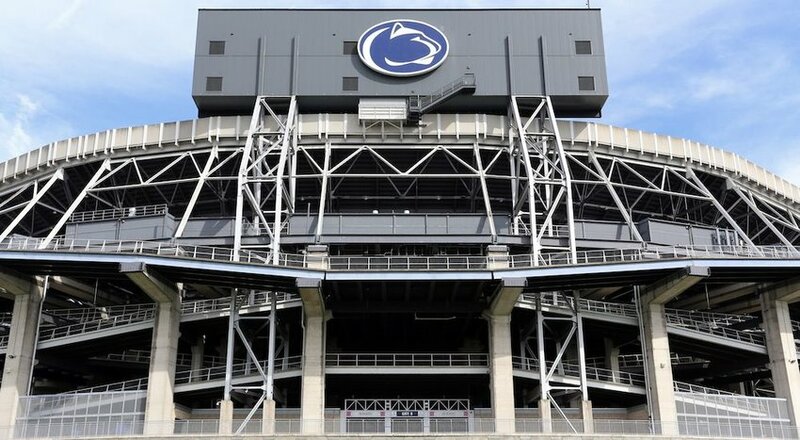 The Penn State Nittany Lions football team is lucky enough to call the third-largest stadium in the world their home field. With a capacity of 106,572, according to Penn State University, Beaver Stadium is one of the nation’s most well-known sports facilities and the oldest on this list. The 500-seat Beaver Field got its start in 1893 with its first game played against Western Pittsburgh University, which would later become the University of Pittsburgh — a rival to this day. Visitors might have a chance for an exclusive tour by contacting the Penn State All-Sports Museum. Michigan Stadium, Ann Arbor, Michigan, U.S. 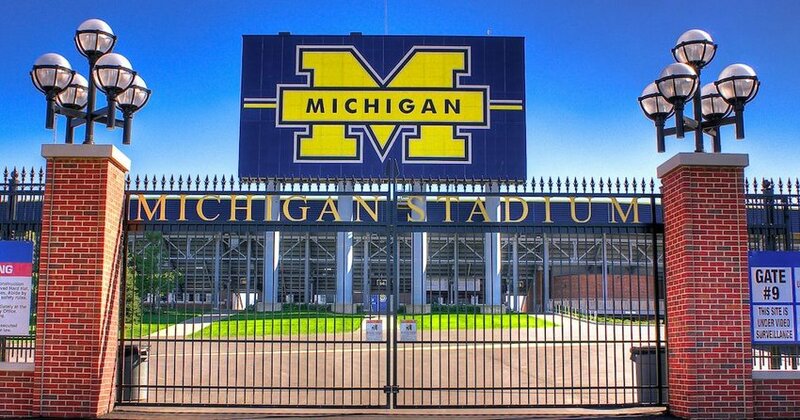 The largest stadium in the United States, and second-largest in the world, belongs to another school from the Big Ten, The University of Michigan, with seating for 107,601 people, according to World Atlas. The “Big House,” home of the Wolverines, has hosted crowds well over its capacity for big rivalry games — sometimes in excess of 115,000. A tour of this stadium is a must during your southern Michigan trip — you can even walk through the famous tunnel onto the field. 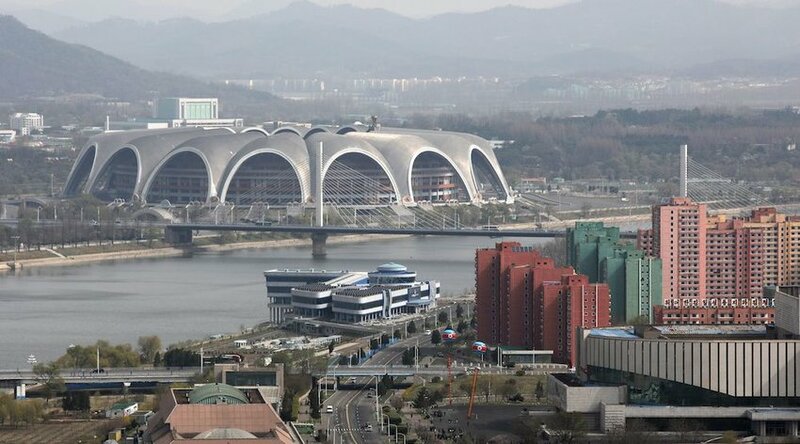 The largest stadium in the world is North Korea’s May Day Stadium, located in its capital city of Pyongyang. The capacity of this enormous stadium is 114,000, although it can technically seat 150,000 people, according to World Atlas. The venue is used for a variety of occasions, like professional wrestling and soccer. 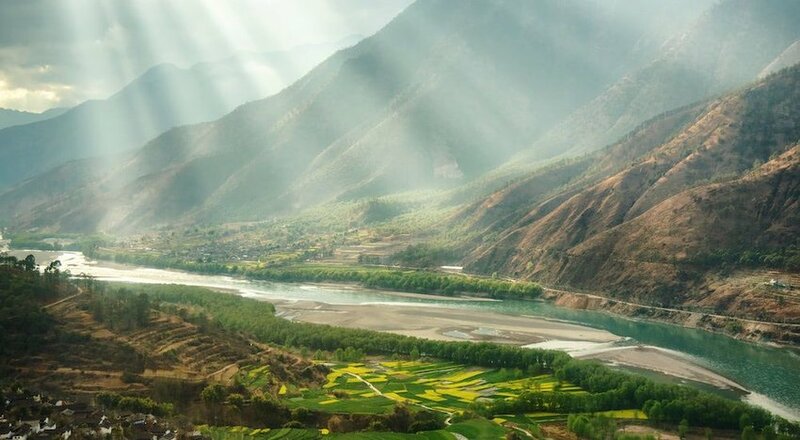 It is also home of the annual Mass Games, a massive group gymnastics and dance event that is a staple in North Korea, according to Business Insider.